I entered the ballot for Ride 100 again, for a place in the 2014 event. After months of waiting, in February they announced the results and unfortunately for me my application wasn’t successful this year. I was disappointed, it was such a great event and I wanted to experience it again. I wanted to start from fit and see how much I could improve, could I improve? Was my success last year driven by determination to get fit again? Could I find that same determination to keep going at 70 miles when my body wanted to stop if I didn’t have a strong enough reason to do it? I gave this a lot of thought and I decided it was for the best. I’d had my moment and it had been a great one. The memories of Ride100 2013 will live with me forever. Riding down The Mall, the finish is one of the greatest moments in my life. Everything had come together for me and the hard worked had paid off. I thought I’d put this event away in my mind and agreed it was over. It was too much pressure on my family too, all the training, all the baby-sitting. So I went off to the London Bike Show, I wasn’t even thinking about Ride London that was buried, forgotten but as I walked around the show and noticed all the charities promoting their places the memories of that day started creeping back in to my mind. I started looking around at the charities and wondering which one would capture my heart, maybe I could ride for a charity. I spoke to a few charities that day but I didn’t take a place. None of them really meant anything to me and I knew, to raise the money my story had to be compelling. 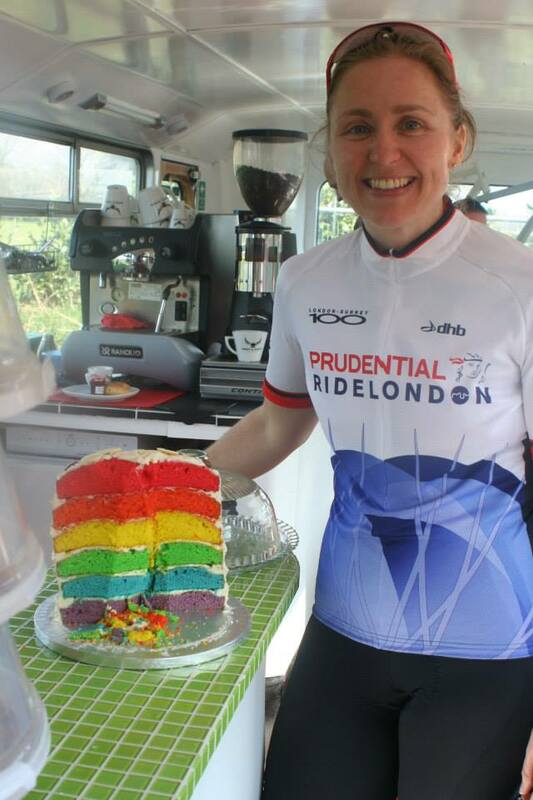 On the Monday after the bike show I received an email from Prudential Ride London Surrey 100 announcing that Bliss would be the official charity of the event this year. It detailed if you were interested in riding for Bliss you should contact them for a place. I knew a little bit about Bliss’s work. The causes they raise money for has touched my life on several occasions. My friend went in to emergency labour at 25 weeks and I watched her baby grow from a tiny acorn to a beautiful toddler. Another friend had twins, again by emergency c section at 28 weeks. They were again miracle babies, born decades earlier they wouldn’t be here now but they are big strong boys, living a very normal life. My Mum sadly lost a baby; she would’ve been my baby sister. It was a long time ago but I know she still keeps a place in her heart for her baby. I only really know this now I’m a mother. I really understand what a Mother’s love is. 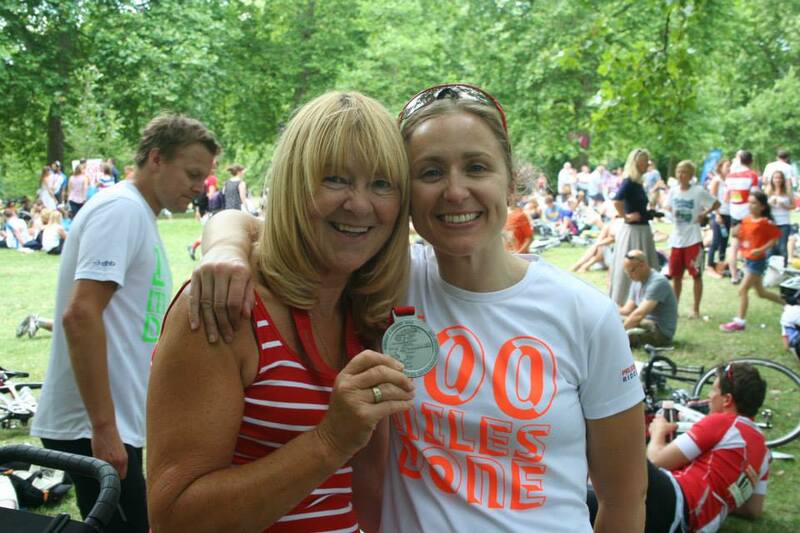 Without my Mums support, encouragement and strength I would not of been able to cross that finish line in 2013 the way I did. She is the most selfless person I’ve met in my lifetime. Always putting others before her. She gave up her own free time last year to allow me to train, to go out on my bike for hours to get fit again. She actively encouraged me to do it. She drove me to London for my training sessions with Reza and she was there waiting for me on the finish line when the race ended. When my Mum lost her baby Bliss didn’t exist, no real support existed. She had to come home and just carry on her life as if it had never changed; she had 4 children at home who were too young to really understand what was going on. I have a strong memory of her crying a lot, this was an age when we didn’t really share what was happening the way we do now. I’m riding this year for Bliss, for my Mum for my sister that never got to breath life on this earth. My Mum inspires me to be strong, to go after the things in life that I want, to achieve my dreams and be happy. My Mum lost her own mother so tragically in a cycling accident. It happened in Ireland in 1977 where my Mum was born. My Grandmother, she went out to the shops on her bike and sadly she never came back. Someone that was over the limit with alcohol took her life but it was before any laws existed to try and prevent this from happening. Although I don’t have any real memories of my Grandmother, I was only 2 when she died I do know she was an incredibly strong lady. She brought 15 children in to this world. Only 4 of those babies were born in a hospital, 11 at home. Sarah the youngest was born when my Grandmother was 45 years old. This was Ireland in the 1940’s, 50’s and 60’s. My Mum has 8 bothers and 6 sisters, our family isn’t your average family but I love it. We’re spread all across the world but we’re quite close and keep in contact with parties and now with social media. We can all stay in touch with new births, special occasions etc. by sharing photos and messages so easily. I always feel a little part of my Grandmother is with me when I’m on my bike, she gives me the strength to keep going and dig deep. 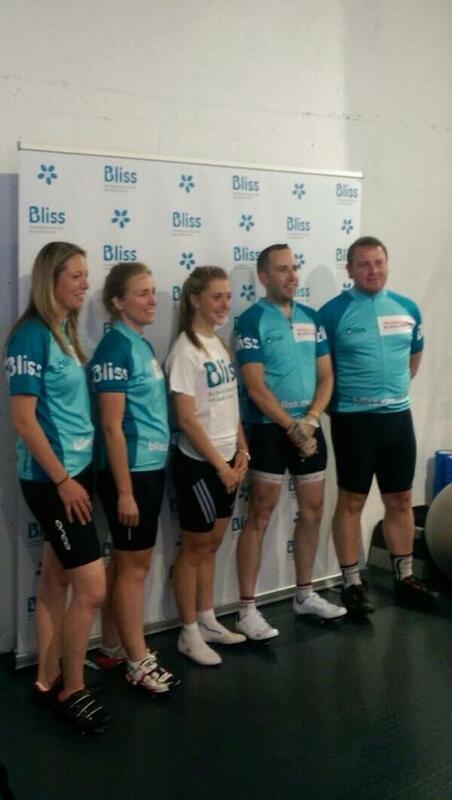 Riding for Bliss, being part of their team has been a wonderful experience for me. Bliss set up a Facebook page for all their riders and we’ve become a great community on there. Helping each other with tips, advice and support. Some of the riders who live near each other meet up and ride out together on training rides. It’s been a completely different experience to last year, just entering the ballot and riding for myself was sometimes a very lonely one. This year I’ve been part of a big team, a really great team of people with a common aim of raising money for this great charity and achieving a cycling goal of riding 100 miles. Bliss invited me to a very special, training event in London at The Athlete Lab, a state of the art cycling training facility. If my ballot entry were successful in 2014 this day would never have happened. It was a unique opportunity given to me as a Bliss rider. 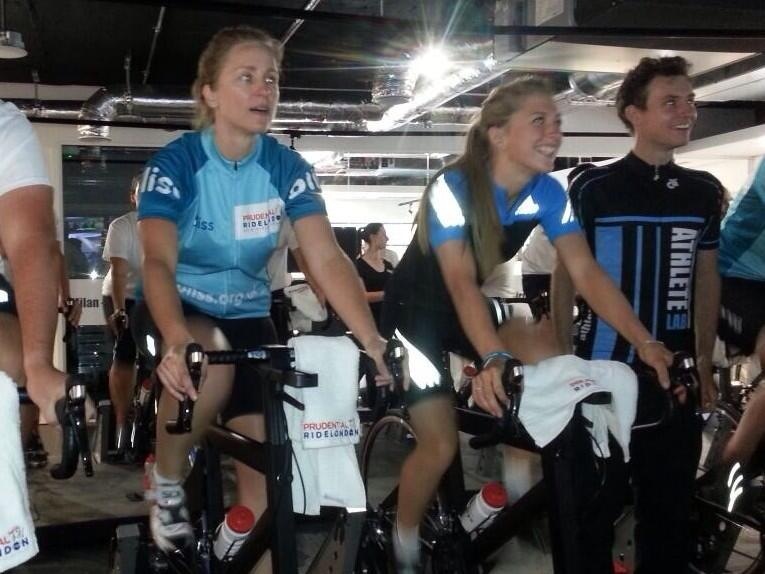 Olympic cycling Champion Laura Trott hosted the event; it was a cycling master class with her. It was an honour to be sat on the bike next to Laura, this gave me the opportunity to speak to her and we exchanged stories of what it felt like to ride down The Mall in front of large crowds and how exciting that was. Laura was born premature, something I didn’t know about her. On the day of the training event, as you would expect Laura was lovely, full of advice and happy to talk to all of the riders. I’m riding this year for Bliss and helping to raise money for this wonderful charity for babies born too soon, too small and too sick.